Our friends at Rotofugi have just announced the release of a new colorway of the Dredge, a vinyl figure designed by Chicago artist Brian Morris and produced by squibbles ink + rotofugi. Only $60 gets you this amazingly creepy 8″ vinyl figure to full up your shelf and creep out your friends. The last release of a Dredge was two years ago, so snap this one up quick before it’s gone! Available only at Rotofugi.com. Doomsday – As you may or may not have heard, 12/21/12 marks the end of the Mayan calendar and many have speculated that this also marks the end of the world as we know it. 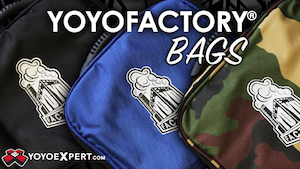 TERRIBLE as this may be, YoYoFactory has decided to turn this bad news into something SO big that it may actually eclipse all of the potential up and coming tragedy. On 12/21, YoYoFactory will be releasing the Doomsday Genesis, an entirely new version of one of the most popular metal yo-yos that we have ever produced. This version of the Genesis is manufactured out of ultra high grade 7075 aluminum, making it stronger and more durable than any other Genesis ever produced. Slight design alterations yield a slightly different weight distribution, a flat face on the yo-yo rather than an axle hole, and brand new laser engravings on both halves of the yo-yo. 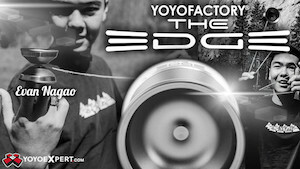 YoYoFactory and the Mayan’s can agree on one thing: Doomsday is coming! Comes with Center Trac and Natural Pro Pads installed. New Spec X and extra Natural Pro Pads in the box. 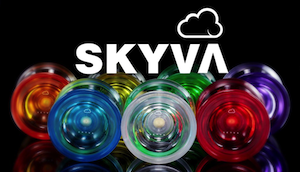 Yomega has released images of the newly redesigned Crossfire YoYo on their Facebook page…they didn’t list any specs, but we’ll update this post as soon as we have more info. YoYoJam is releasing the new “Ringmaster” yoyo, a signature model for long-time player AJ Kirk, on Friday, December 14th. Available at your favorite yoyo retailer, the Ringmaster is designed to be a great all-around player for both 1A and counterweight play. No word on if it will ship with a counterweight. If you’re in the Delaware area, YoYoJoe’s Toys is having a special release party on Friday, December 14th from 6 – 9 PM. AJ will be there showing off his new yo-yo and there will be a trick contest with a prize for the winner.